I grew up on the prairie. Our house in central Illinois was literally the last house in town when I lived there, with a cornfield across the street. We walked through it, skated on it, rode through it on combines pulling tassels off every other row. Although my personal mythology maintains that I am from Philadelphia (where I actually only lived for 9 years as a child), in fact I’m a daughter of the corn. The other day some east coast transplant was “charmed” by my midwesternisms. Blame it on the corn. Corn is an amazing plant. For one thing, there is no wild corn. It is possibly the most domesticated organism on the planet. Archeologists have identified domesticated corn as old as the oldest identified human settlement in the Americas, but have never found its wild parent. I first planted corn in my backyard garden 6 years ago for the Growing Challenge, which is to plant something new every year. (This year it’s celery.) I made the classic corn newbie mistake–having grown up in corn country I naturally planted a row of corn. However, in a small backyard, you can’t plant corn in rows. It won’t pollinate properly. Enter the Three Sisters, which is corn, beans and squash, planted together. It is a traditional First Nations companion planting technique (planting compatible plants together), using the attributes of each plant to strengthen all three. This is the grandmother of companion planting. Some plants go well together –carrots and onions love everybody; strawberries love borage; and of course the Three Sisters. Just google “companion planting” to find examples. Some reasons to companion plant: nutrient enrichment, pest control, mechanical. (Um, mechanical?) Back to the Three Sisters: the beans are there because they restore nitrogen to the soil. 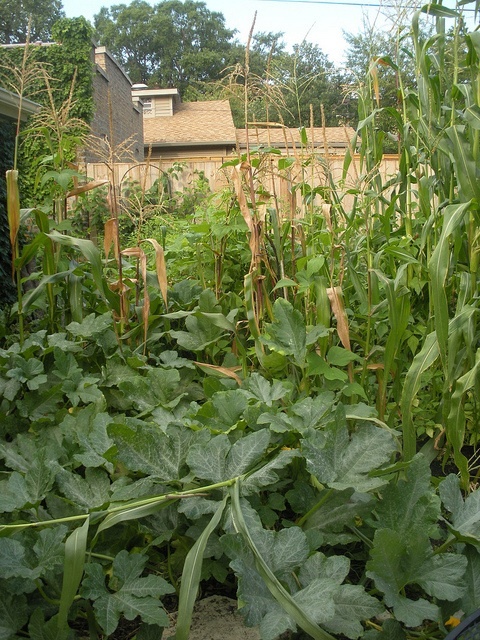 But the corn and the squash also have “mechanical” purposes– the corn stalks act as bean trellises, and the squash acts as a mulch, keeping the weeds down. • Make a mound, about 12 to 15” across. 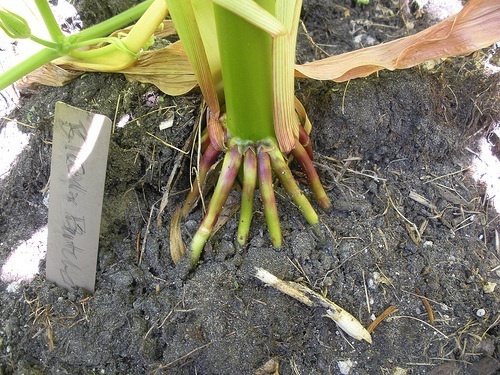 Corn will send out “adventitious” roots, these are roots that crow from the stalk, sideways into the soil, strengthening the plant. • When you plant corn in a raised bed or other small area, it needs to be very dense to pollinate properly. • Corn can be planted anytime from early May to early/mid June. Best are varieties that mature in 85 to 110 days. • Corn is ripe when the silks are very dark and a little dried-out looking. You can tell corn has been properly pollinated because the silks will turn pale pink, and then gradually a deep mahogany. • Plant seeds or starts directly into the center of the mound. I usually plant 3, and then thin them when the plants are about 3 weeks old, to get the strongest plant. •It’s best to plant out squash after June 10, even seeds, because late May and early June is when the squash vine borer (SVB)moths lay their eggs. 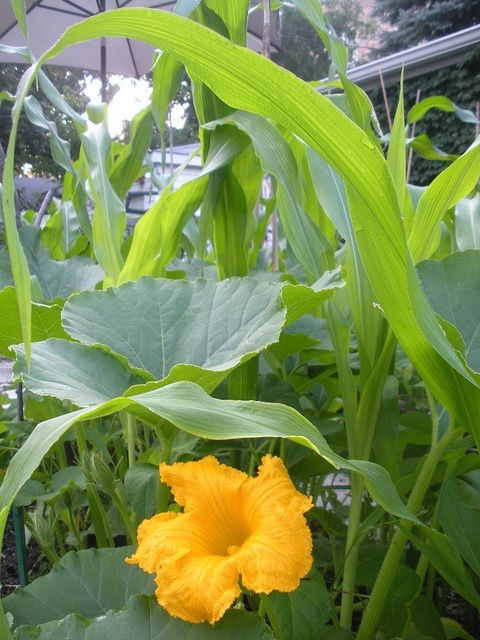 • In small gardens, you’ll want to train your squash. In large gardens you can let it go crazy. • Squash will be the last thing to get ripe. • You can use summer or winter squash. If you do a summer squash make sure it’s a vining one like Patypan, not a bush one like zucchini. 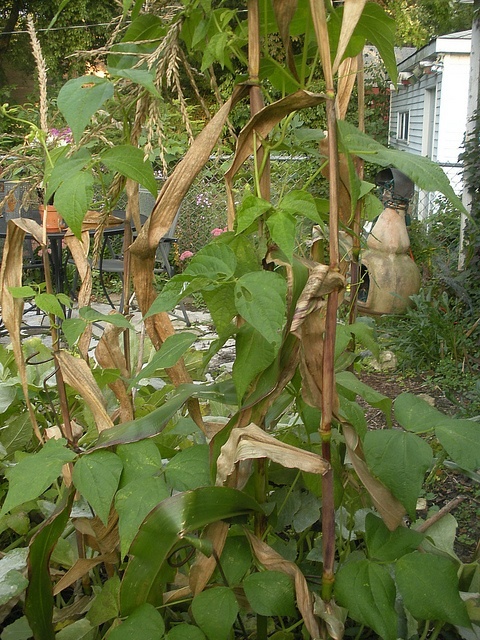 • Plant pole bean seeds directly when the corn is 8” to 10” high. If you plant your beans too early, it will get taller than the corn very quickly. • If you have SVB then you shouldn’t plant squash for two years. 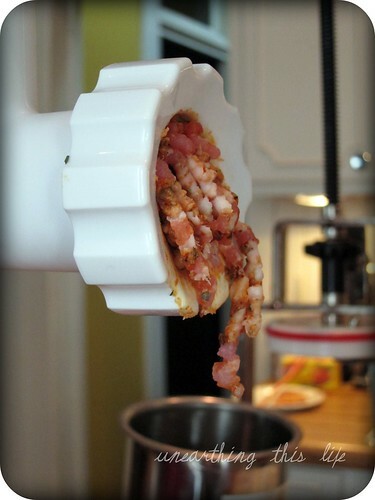 Use bush beans as the third sister. Some friends and I were Facebook chatting about the lure of the Homestead. Self-sufficiency. Pride. Good For The Children. But then, there’s indoor plumping. Electricity that you don’t have to generate, or understand. Skors bars. My daughter and I had this conversation as well–how hard it is to live the life that seems appealing when it’s contrary to the mainstream, or makes you stand out. You have to have either strength of character or a certain kind of obliviousness to buck the system. It came up because she’s met someone she calls a “real hippie.” She says she always thought I was a hippie, but this woman walks the walk, apparently. I’m not quite sure what that means, but it probably has to do with really not tolerating the two Macs (Mac ‘n’ Cheese, and McDonalds) for the children, walking or biking everywhere, and wearing ugly shoes (I think I have the ugly shoes thing going, but I’m a late comer to the don’t-tolerate the junk food). When I was in college, during one of my brief non-Bill (my husband of more than 30 years) periods, I dated one of those real hippies. Even at the time, I realized that I was making a choice between a truly alternative life and one that would be a little more mainstream. I’m something of a chameleon, in that I tend to adapt to the prevailing opinions around me. Something to do with low self-esteem, probably, or a dislike of conflict. If I’d stayed with M I’d have been a hippie and a homesteader. With Bill, urban to the core, not so much, although I’ve dragged him a little bit over to that way of thinking. Still, the lure of the homestead, of the self-sufficient, know-how-to-do-stuff, back-to-your-roots lifestyle is extremely appealing. It sounds so simple, so real. In reality, living off the land or making your living from the land (not at all the same thing) sounds hard. I know this from reading Emily’s trials with the sheep, and Sage’s awful trials with the drought. Of course, city life is hard as well; however comfortable one is in an urban environment, one does constantly watch over one’s shoulder for danger. There’s a lot of noise and trash and people you cannot get a way from. The big reason that people move out of the mainstream is for the children, but you’re making trade offs there as well. Country kids can Do Stuff. Hammer a nail, milk a cow, wire a lamp. My kids? they can Handle Themselves. When you grow up looking over your shoulder you develop a kind of thick skin that I’ve never seen in more gently raised kids. But I really wish they could Do Stuff. I need someone to build me a new compost bin for my tiny urban homestead (ish). Conclusion? Life is hard. Choices get made. The homesteader wonders if my grass is greener because I’m putting chemicals on it; I wonder if her grass is greener because of sheep droppings. Neither of us really, in our deepest hearts, wants to walk on whatever it is that is making the grass greener over there. Yes, i’m just 30 years old and a new grandma…. to a little baby chick! 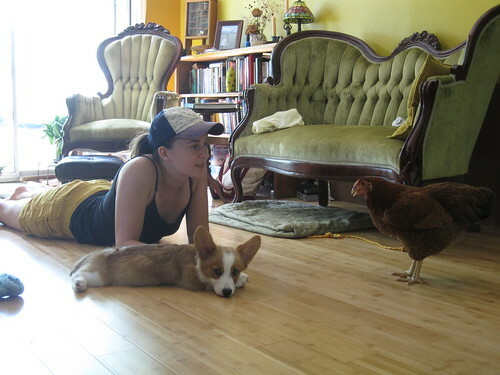 Although we moved away from our Austin homestead in June and had to sell or give away each of our 4 pet hens, we’re luckily still in contact with some of the lovely people who re-homed them, and even get happy updates from them on occasion. I’m so excited to share one recent piece of news: a birth announcement! 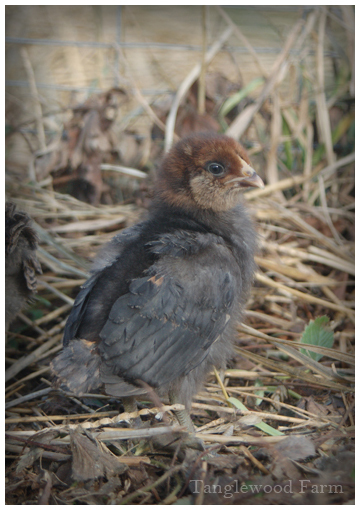 BB was our broodiest hen: a partridge colored Chanteclar hen (Chanteclars are an endangered breed from Canada). We lovingly called her our ‘football chicken’ because she was the smallest of our flock, but her size didn’t prevent her from being head hen, or as we also called her the “mob boss” (because Soot thought she was head hen, but was really just the “thug” of the group.) BB layed funny, tiny little eggs that often had grooves on them and was prone to broodiness (sitting on the eggs to try and hatch them). If you visited us, you might find a “chicken in the house” to try and encourage her to leave her nonexistent brood and get over the habit. 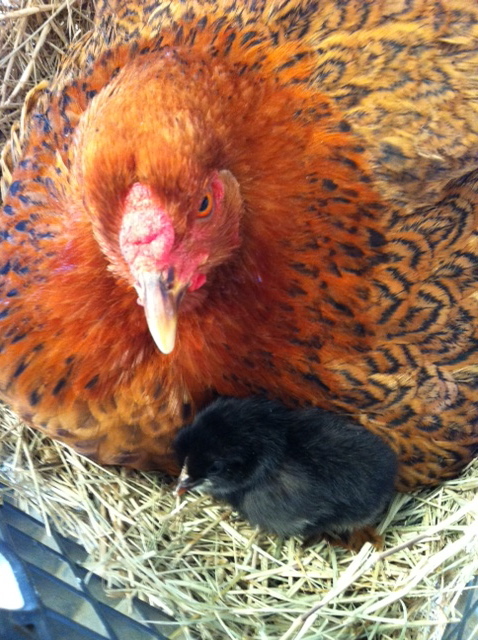 I’d hoped to find her a new home with a Chanteclar rooster in order to procreate the breed, but was unable to find one. I did find an amazing chicken-oriented woman south of town with 5 acres and many happy chickens. 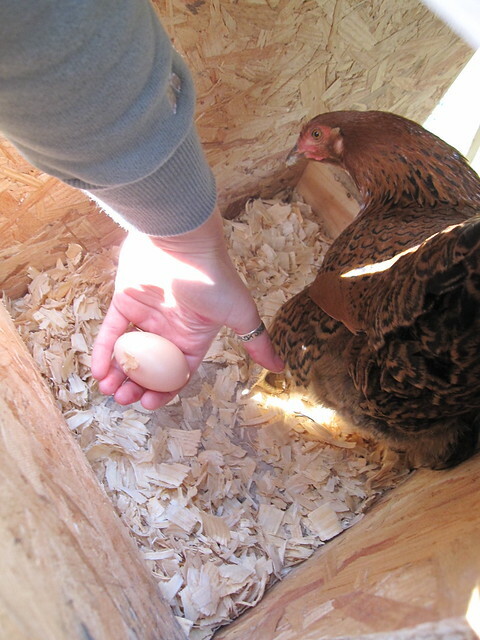 BB settled in great right away, and now after about 9 months she’s hatched her very own egg. Congrats, BB: it finally happened! 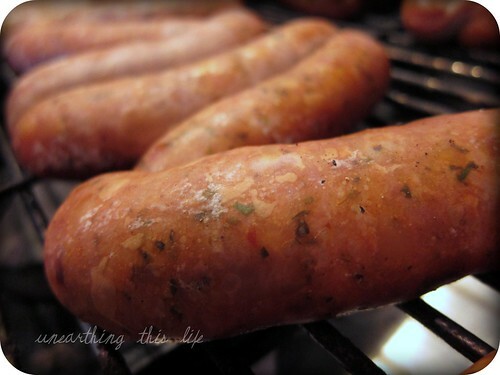 You can find more from Miranda at her blog, Pocket Pause. The term “Real Food” definitely applies to the vegetable garden, but here at Tanglewood Farm I’m using this year to try to find ways to grow and preserve more than just our own veggies and fruits. I know this month is our month of gardening posts, however at the core of it, we’re really blogging about growing food. This spring we are growing food in the garden as well as in the farmyard. We’re growing vegetables, fruits, eggs, milk, and yes… even meat. When eating any food, I find that the more involved in its existence and its presence on my plate, the better I eat and the more satisfied I am. I love to feel the dirt slowly giving way as I pull a beet for my salad, almost like the void beneath is sucking it down like a vacuum, or the sharp recoiling spring of the cane as I pluck an almost-ripe red raspberry. These experiences are so starkly different from being handed a slapped-together cookie-cutter meal at the local such-and-such chain restaurant. Ick. I love to sit down to a meal and to be able to identify the work that went into everything: the hauling of compost, the dibble of seeds, the spreading of mulch, the work of the rain and the sun itself… all the way to the act of cooking and baking the food in the kitchen. It’s the most satisfying feeling I can think of. It goes right to my core and radiates from within: Satisfaction. Complacency. Happiness. To prepare for the season of growing, we have our seeds and our bareroot plants (100% heirloom/open pollinated this year). We also ordered heritage white-laced-red Cornish chicks (WLR because they’re prettier, Cornish because they’re meatier), as well as a couple straight-run layer chicks (heritage Buckeyes and Welsummers). Should any of the layer chicks be cockerels, they’ll be sent to freezer camp once they reach full weight. We want to have a small laying flock that can provide us with eggs, as well as the unfortunate bit of meat here and there. In the meantime, while either growing or raising our lamb(s), we are hoping to get a bit of milk from Ingrid. She’s not the world’s heaviest milking Icelandic, but she does have a well developed udder so I’ll be trying to take a little off the top once the lambs are established as healthy and strong. 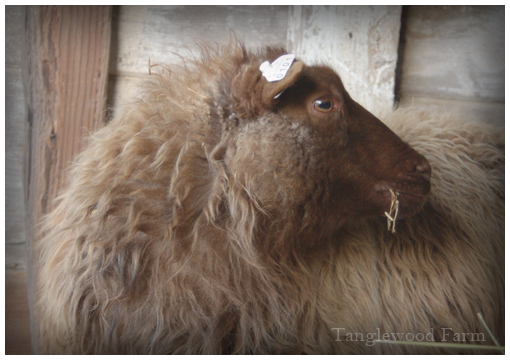 Icelandics make a wonderful triple purpose sheep, having lustrous and strong double coated wool, rich creamy milk, and excellent bone structure and meat quality. 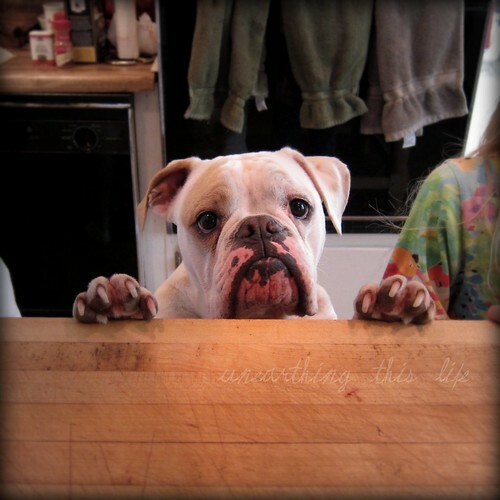 They’re one of a very few breeds that are triple purpose, so we’re glad to have them. The sheep milk, however, certainly won’t be enough for our milky adventures this year. I n addition to the sheep, I have purchased a share of a goat (named Gen) at a local goat dairy. I got to meet Gen today, as well as the rest of the goats out at Silver Moon, and it was a great experience for me. If you aren’t familiar with livestock “shares” they’re an interesting method of selling livestock. Basically it comes down to me getting to own Gen for a portion of the week. Whilst owning her, I have access to her for snuggles, kisses, photo ops and, yes, milk. I met her primary owner, Renea, today and she was very pleasant and kindly showed me all around their farm, introducing me to their wonderful fiber rabbits, meat rabbits, quail, muscovies, chickens, and even their horses. You could ask around for a local farmers market for animal shares, be they dairy or meat, or just cuddles shares… Take control of what you’re eating, and learn to sit back and take a deep breath, a big bite, and enjoy. So many of us are working our way toward a more self-sufficient lifestyle. With that in mind we wanted to share some general guidelines of what to plan for on a monthly basis. Whether you’re a gardener, a beekeeper, a forager, or you keep animals, hopefully our monthly guides will help you plan ahead for the month. Depending on your exact climate you may find you need to adjust your schedule plus or minus two weeks or more. September is the time of year that we begin to feel the crisp air of Autumn moving in. Evenings are chilly even though afternoons can be very warm. Autumn fruits are beginning to ripen and the thought of spiced cider seem to warm spirits. September is the time for clear skies, bonfires, and wrapping up Summer’s last duties. It’s a big month for tidying up the garden, so hold back those nesting instincts for another month and enjoy the clear, bright skies and cool air. 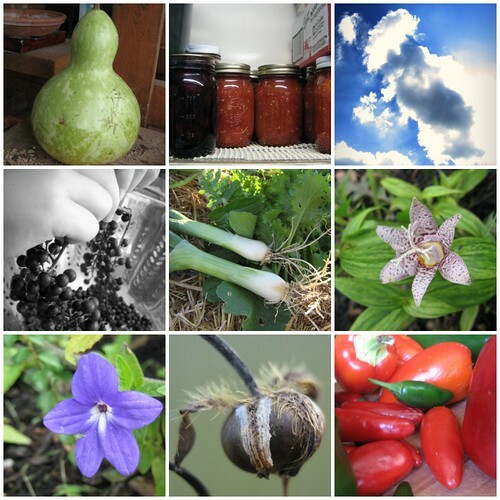 Be sure your root cellar is ready to accept produce. If you’re using boxes with sand or sawdust make sure they’re clean, sanitized, dry, and critter-proof. Be sure your deep freezer is cleaned out. Remove past date items and make room for Fall’s harvests. Complete any chores that require you to keep your windows open. Painting, cleaning carpeting, cleaning ovens and so forth should be finished before it gets cold during the daytime. Wash items that require long, outdoor drying times or those that can only be taken care of outside. Litter boxes, garbage pails, sanitary pails, area rugs, pillows, and so forth should be washed while the remaining warm air can help with drying. Air out winter clothing, blanketing, and other items you may have kept in storage over the warm seasons. Be sure your fireplaces are in working order before you need them. Check that wood stacks are staying dry and are easy to get to. Check fire and carbon monoxide alarms before lighting up your furnace or fireplace for the first time. Be sure your cold frames and greenhouses are airtight and ready to go for the cooler nights. Daytime temperatures can become very hot in these locations, so be sure to open and close windows as needed. Consider investing in a self-opening elbow for your windows. They can save many trips back and forth throughout this fickle weather. Leaves will begin to fall soon. Make sure your compost bins or piles are ready to accept fresh materials. Give one last inspection to your windows and doors in case you didn’t get to them last month. 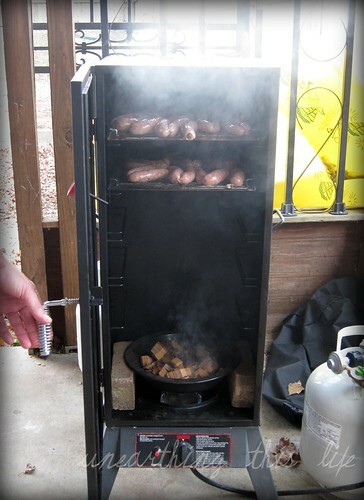 Be sure that they’re air tight and sealed before cold weather really sets in. Change air filters on furnace. Herbs can be cut and dried for saving. Remember to bring some in to create a window garden for a fresh Winter source of Summer’s flavors. Seed saving and dead-heading can begin once again. Remember to allow some of your perennial seeds to self-sow by leaving only a few “dead heads” or by sprinkling some seed. Save some seed for finches (they adore Echinacea) and other seed lovers. Too many dead heads can lead to disease. Don’t prune rose hips yet if you plan on saving them for jellies or medicinal purposes. Bring in your more sensitive plants as the nights get cooler. Stevia, ginger, and other tropicals don’t like colder weather. Many other herbs can stay outside until the first frosts. It’s a good time to take cuttings of woody plants and shrubs. If you’re planning on dividing or planting bulbs for next year now is the time to do it! Also divide shrubby herbs like lemon balm, oregano, mints, sage, fennel, tansy, and marjoram. Harvest frost-sensitive plants and Winter keepers before your first frosts. Put green tomatoes in paper bags to ripen slowly and use later. Potatoes, onions, and other keepers should be kept in a cool dark place. Cut back dying foliage. Burn diseased foliage as soon as possible. Healthy plants can be put into compost as long as they are seed-free. As fun as it is to have a surprise potato plant sprout from the compost bin, you don’t want those plants (or weeds) to use up all that energy you’ve been saving for your garden! Green manures for cool seasons can be sown. Strawberry runners should be rooted and transplanted by the end of the month. Shrubs and trees, fruiting or not, can be planted now that the cool weather is setting in. Fall is an excellent time for transplants since most trees are storing or spending energy in and on their root systems. Speaking of fruiting trees and plants, remove mulch and prune those that need it. Put in your orders for Winter supplies of food, straw, and hay. Give a good cleaning to coops and barns to try to avoid housing mice and other small, unwanted critters. September and October are good months for building. If you’re planning on adding to the animal family next year, consider any outdoor units that may need to be added. Repair coops, lean-tos, stables, and other shelters before cold weather sets in. Keep your animals happy and warm at night. Start considering mating sheep and goats for Spring kids and lambs. They’re both on about a 150 gestation cycle so a late month conception would lead to a late February birth. With birth also comes death. Start planning for cold weather slaughters. Animals are best harvested when the weather is below 40 degrees. The cooler the better, especially if you’re inexperienced or have a lot of work to do. Research your product and begin gathering needed items. 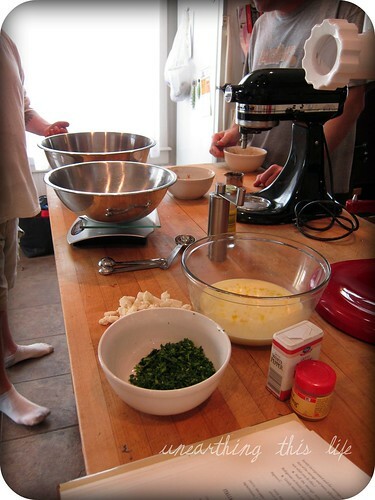 Mise en place. Have stock pots, seasonings, casings, sharpening stones, recipes, packaging, and tools all ready prior to harvesting. Continue to feed your hummingbirds and other songbirds. Migrations will begin this month and you may have a few unusual visitors to your feeders. Like us humans, wild critters are beginning to stock away for the colder seasons. Allow seed heads to remain on natives and refrain from too much tidying up of acorns and other nuts, seeds, and berries. Skunks, squirrels, rabbits, birds, and other small animals need to fatten up to keep warm through the Winter. That said, they can be one of your greatest resources. A flock of chickens can keep you in eggs for ever. Managed correctly they do most of the work taking care of them selves. They clean up flies, waste, and kitchen scraps with glee. They turn unwanted waste products into valuable eggs and fertilizer. But they must also be provided for. In the summer, our chickens free range on the pasture. They clean up the flies and spread the manure pats around. People come from all over to get their eggs. But I still have to feed them and house them. I have to protect them from predators and disease. On pasture they require about 45 minutes a day, every day. In the winter we park them in the garden. 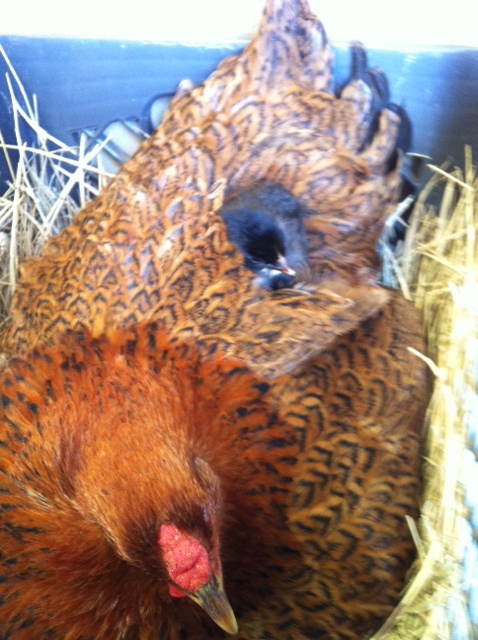 We have to feed them a lot more (about twice as much), and they give us fewer eggs. 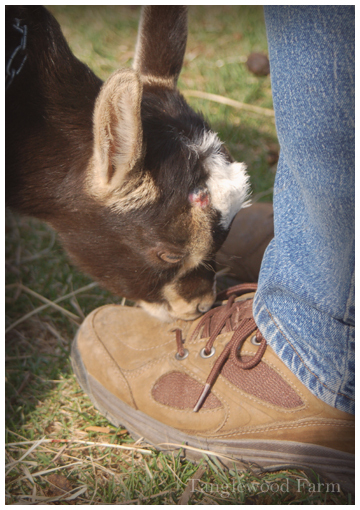 For milk we started with an Alpine dairy goat. They are smaller than a cow (only around 130 lbs.) They eat less, and they eat a wider variety of things. Our goat gave us about 5 quarts of milk a day for about 10 months. She also gave us 2 kids who could have been kept to increase our herd or eaten (They would produce around 70 lbs of very nice meat each.) We manage our goats on a rotational grazing system. That helps us get the most production out of our pasture while improving the pasture each year. (I will do a post about grazing management soon.) Our goat-herd quickly increased. We wanted at least 2 milkers so we could stager when they were producing and have milk year-round. While we were happy with the milk production we were getting from our goats we were not totally satisfied with the amount of meat they produced. We like beef, and goat or lamb, while very tasty, fall a little short of the mark. Our next animal was a cow. That is a really big step. Cows eat about 4 times as much as a goat. They also need a lot more space. When we needed to do something with the goats (like shots or worming) it was easy for two of us to pin the animal down and do what was needed. Not so with a cow. They require more substantial infrastructure. We chose a Dexter cow. They are a small dual purpose (producing both beefy calves and a substantial amount of milk) animal. Ideally we would also have a bull, but the cost, infrastructure, and space needed to keep him was hard to justify. Our cow gives us one calf a year. 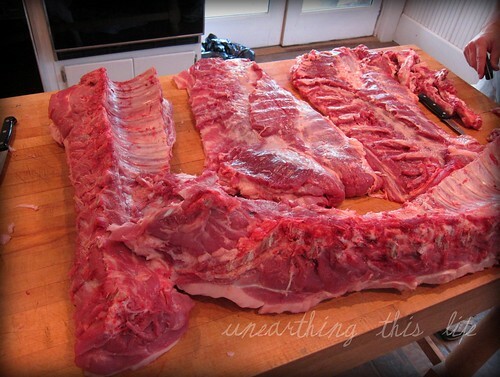 At age two we butcher the calf which gives us about 400 lbs of meat. It took 3 years before we harvested our first calf. We raise them on grass, so they finish a bit slower than commercial beef. All of this takes an investment of time, money, and a lot of management to be productive. 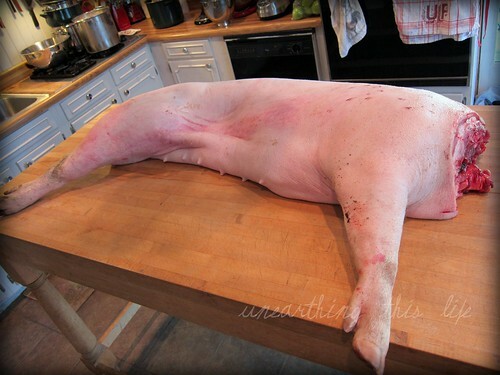 We will provide some basic details for planning your livestock adventure in the next few Homesteading 101 posts. If there are any questions you would like to see addressed about livestock please let us know so we can include answers in the upcoming posts.